Anyone who has worked under fluorescent lights knows that lighting can make a huge difference in how things and people look, as well as how a space is perceived. Of course, lighting isn’t just for the indoors. Landscape lighting is a great way to accent your gorgeous landscaping and take it to a new level of beauty. Adding lighting that is customized to your space not only adds another aspect to your yard, it also makes it more inviting for gatherings after the sun goes down. Take a look at these ideas for landscape lighting in St Louis MO. 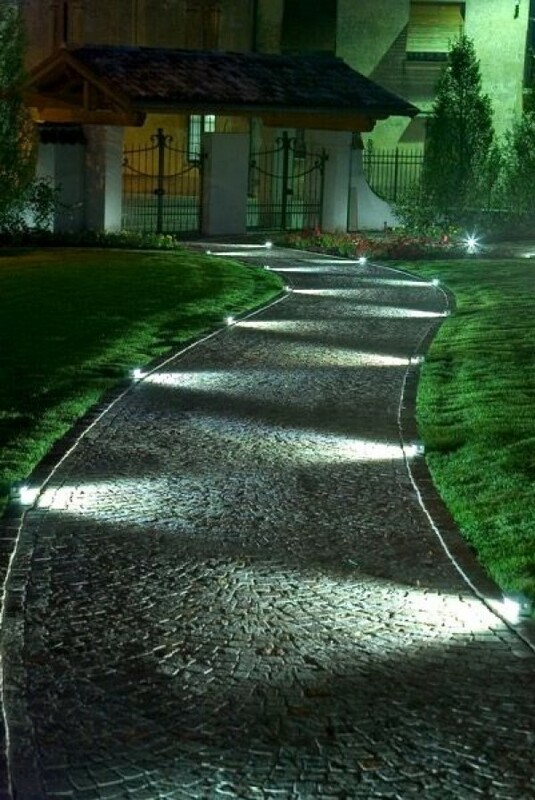 Lighted walkways are a good place to start for landscape lighting. Small lanterns or lights installed with stakes work very well along pathways and landscape edging. There are a wide variety of styles, ranging from classic lanterns that use candles or bulbs that resemble candles, to more modern solar-charged lights. You don’t have to limit your lighting to the yard itself. Lights should be aesthetically pleasing but also functional. Take a look at this setup from HGTV that uses string lights on the underside of an umbrella. It’s such a clever way to make use of something you already have but don’t normally use at night. You can also change up the way you line walkways. Instead of simply lighting the edges of the path, lights can be angled to shine right onto the pathway, creating a pretty cool effect. Firepits offer more than warmth, they are also great additions to overall landscape lighting in St Louis MO. Firepits look great during the day or at night, and when lit, they offer a beautiful glow. Here at Hackmann Lawn & Landscape, we love creating custom-designed firepits that seamlessly integrate into the overall landscape design of each individual yard. In addition to soft lighting, firepits offer the added bonus of repelling mosquitoes, which is a pretty big plus during the summer months in St. Louis. Toss some rosemary or sage into the fire and you'll keep mosquitoes away all night long. String lights are always a favorite for landscape lighting. They offer a nice amount of light with quite a bit of flexibility. String light bulbs come in a variety of shapes and sizes, so you can customize the look to match your landscape design. Take a look at a these setups to see if they inspire you! The first photo is a Hackmann Lawn & Landscape creation, but we can work with whatever ideas you want to implement in your yard. Photo Credit 2, 3, 4. If you're ready to talk about landscape lighting in St Louis MO and St Charles areas, give us a call at (636) 688-6647 or contact us for a quote. We love doing custom work and making your ideas come to life.